First prize winner of Franz Liszt International Piano Competition, pianist Joseph Kingma brings a program of Piano Sonata No. 10 in C Major, K. 330 by Wolfgang Amadeus Mozart plus two works by Felix Mendelssohn for this Dame Myra Hess Memorial Concert. 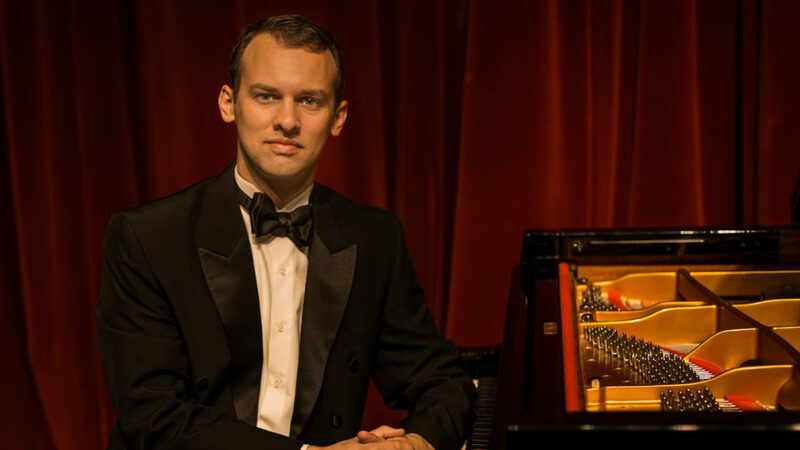 Known for a sound that is “rich and encompassing, yet delicate and refined” and a “flawless and expressive” technique, pianist Joseph Kingma is in constant demand as both a performer and teacher. First prize winner of the American Liszt Society’s first Franz Liszt International Piano Competition, held at Ohio State University, he has also won awards in the Cincinnati World Piano Competition, Sorantin International Young Artists Competition, and the Monroe Symphony League’s Emerging Artists Competition. Joseph joined the faculty of Palm Beach Atlantic University in the fall of 2018 as Assistant Professor of Piano and Coordinator of the Keyboard Division. His poetic artistry and technical mastery has led to numerous concerto performances with orchestras across the nation. Passionate about both performing and teaching, he has drawn engagements from major universities, concert series, and orchestras from across the nation and maintains a busy concertizing and teaching schedule. A member of the American Liszt Society, he has performed at its annual festival. His musical interests are wide-ranging, and his repertoire includes a wide variety of composers in the solo, concerto, and chamber genres. He is currently represented in North America by Elegy Artist Management. In 2017, Joseph graduated from the University of Texas at Austin with his DMA, where he studied with Anton Nel. Previously, he earned his BM and MM at Rice University under the tutelage of Robert Roux. His earlier teachers include Aviram Reichert, Philip Pletcher, and Elena Arseniev. Biography Courtesy of IMF Chicago. Dave Schwan hosts a number of programs for WFMT including live broadcasts from Dame Myra Hess Memorial Concerts and the Grant Park Music Festival. Dave is also the Sunday morning news anchor at WGN radio, and can be heard around town singing in different choruses and giving pre-concert lectures. He plays classical and jazz trombone. 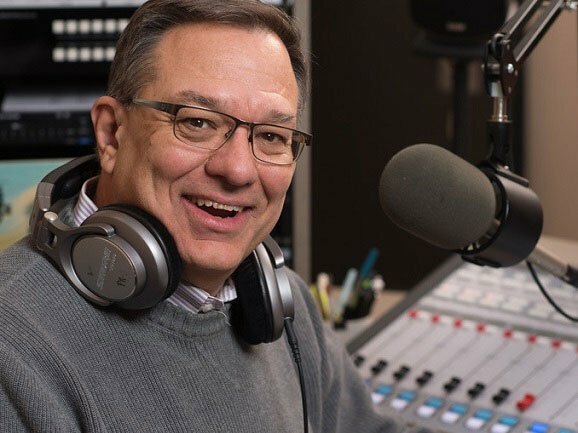 A native of Highland, Indiana, Dave grew up listening to WFMT and attending concerts around the Chicago area.